Mobile Phone camera can be used as a scanner. It can be used to capture clippings of text from books, notebooks, newspaper and magazines. All you need to do is click a photograph and use apps like Qipit or ScanR to extract the text out of the picture. It can also be used to scan QR codes, Barcodes etc. 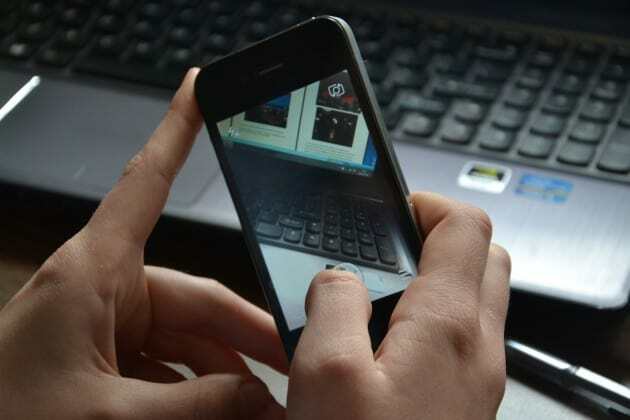 With the help of few third party apps, you can use your mobile phone camera as a web cam for your PC. It can be used via a USB cable or via Bluetooth. You can use apps like IP Webcam, Smart Cam or Droid Cam. There are various ways to use your phone’s camera as a reminder. For example, if you are lending something to your friend, just click an image of your friend with that thing you are lending and you will never forget whom you gave the thing. Tired of writing notes or copying a text from your friend’s copy, just because you missed it. Just click the image and you are done. It will save you lot of time and effort. If you are in a class and are not able to catch up teacher’s pace, just start clicking images of the teaching board and it’s done. You can also use it for keeping important notes like passwords, grocery list etc. For example: Just write down your Wi-Fi password on a piece of paper and click an image. Now, you don’t need to search for that piece of paper whenever you forget the password, just open gallery and see the image. If you are not sure whether your remote batteries are out or your remote is defected, use your phone’s camera to know better. Phone Cameras are capable of detecting infrared light. Just open your camera and point it to the remote sensor at the top. Press any button on remote, if a violet light glows, it means your remote is all right, you just need to change the batteries. This use is limited to the cameras which has flash in them. You can use some third party apps to use your camera’s flash light as a torch. Now-a-days, most of the smartphones comes with equipped feature of using only the flash light and not the camera. This comes handy in case of sudden power break or when you are trekking/hiking and are out of torch. So, you went for shopping alone but, want to know your friend’s opinion about certain dress or a product. No need to worry, just click the picture and send it to him via any app like WhatsApp, Hike, Messenger etc. Just share it with them and gather their opinions. Also you can use Google Goggles app to know more about the image. Suppose if you encounter a perfume bottle and you want to know more about it, then you can use this app to scan and give you the results about this product. Locating your car in a dark and huge underground parking can be a big and difficult task. It gets more difficult when there are no sign boards and you are carrying heavy shopping bag. So, just when you park your car or bike, look toward the exit or any escalator and click an image. You can even record a small video. This will help you out in locating your car or bike. This is interesting and a kind of life hack. So, you are traveling and need the driving directions. You will just open Google Maps and will follow the directions. But, what if there are no network signal or you are just out of data pack. So, to make sure you don’t get confused you can use your phone camera. Before going out, open your PC and enter the locations. Now, you will have the directions. Press F11 and you will now get a full screen of your directions. Click the image and save it. Now use the image, instead of GPS thus saving battery and mobile data. This is useful for people who are nearsighted. If you are finding it hard to locate your specs or you are trying to find out something without your specs, just open your camera and see through it. You will get a clearer image through it. CHECK OUT: Nearsighted And Lost Your Specs? Here Is A Simple Solution For That! Surprised? Google’s tie-up with Im2Calories (a research project) is what we are talking about. They are using deep learning algorithms to count the calories in food photos. It might sound difficult, but we are talking about Google here, so lets hope for the best. This was all about how to use your camera in a different ways. If you are aware of any other practical use of smartphone camera, do let us know in the comments below.